The duplicator i3 is based on the revolutionary work of reprap core developer josef pr?ša (prusa). 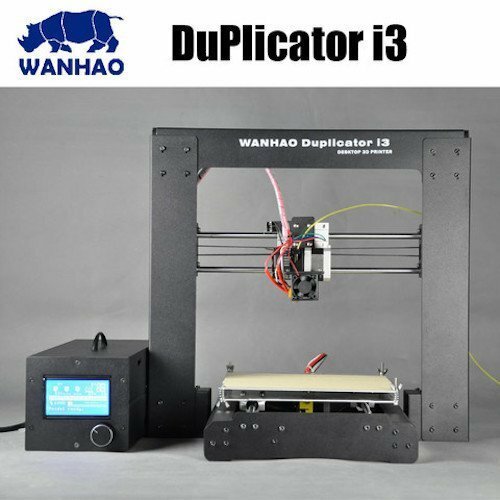 Wanhao is proud to introduce an entry-level 3d printer targeted at customers who want to begin 3d printing without having to build a kit. This is a pre-assembled steel frame prusa i3the best-selling reprap in 3d printing! amongst the features packed neatly into this platform are an mk10 single extruder, a gcode based micro-controller, and a standard heated build plate. Unlike most other prusa offerings on the market, this i3 comes standard with a custom electronics housing (also in stamped steel). For the value this machine can not be beat. This printer is the ultimate reprap!